The leaves are crisp and starting to fall. The weather is finally not in the 100's anymore, and while it's a little too warm still for "sweater weather", I think it's safe to say that my favorite season of the year is here to stay! One of my favorite things about autumn is when all the leaves start changing colors. As a kid I used to visit my great-grandparents and extended family on the East Coast. You have not experienced fall leaves until you've been to New England in the fall season! There is something so magical (and colorful!) about all the fall leaves there! 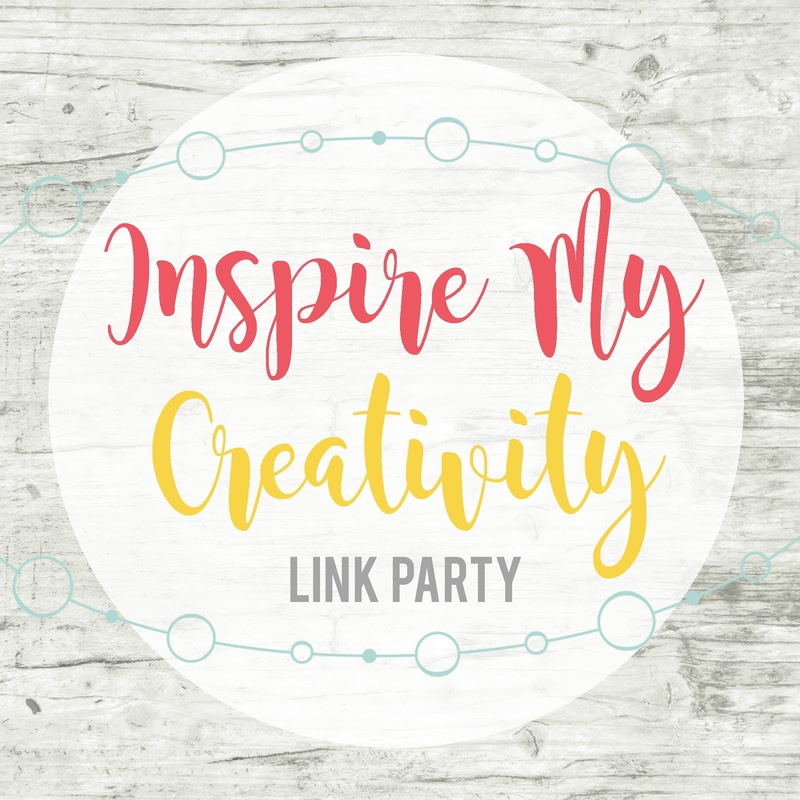 This month I'm participating as a host in the Inspire My Creativity link-up. Our theme for this month is, all things leaves! I was inspired to come up with a simple craft that you probably already have all the supplies for. 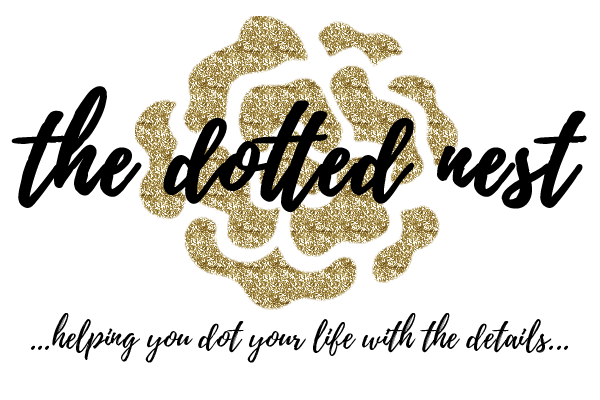 I even have a printable for you! Let's get started! Meet your hosts below, and make sure to go visit them for some more amazing projects! You can also link up your favorite leaf project/DIY below! This super easy and quick project uses things you already have around your home. It's a fast way to bring a little Fall decor into your home. You can download the free printable PDF here! 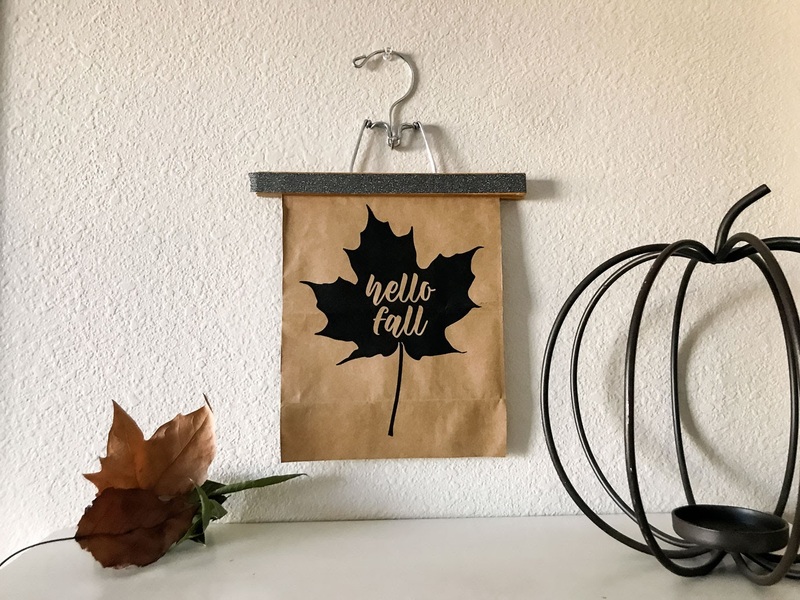 ***Please note that the Hello Fall Leaf printable is for personal use only, you may not redistribute or upload on your own site, or alter the image other than for your craft project. Thank you for respecting my copyright and all the hard work it takes to provide you with it! 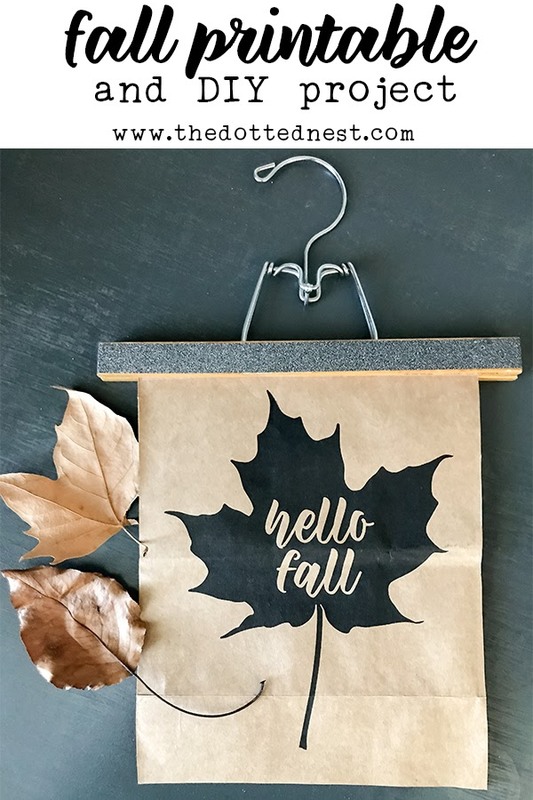 - Download the Hello Fall Leaf printable. 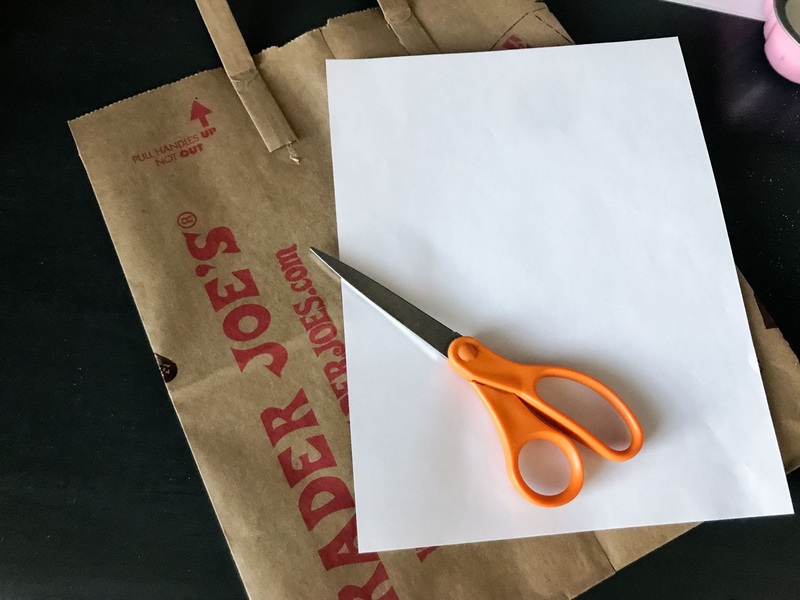 Cut your paper grocery bag to the size of printer paper, 8.5x11. 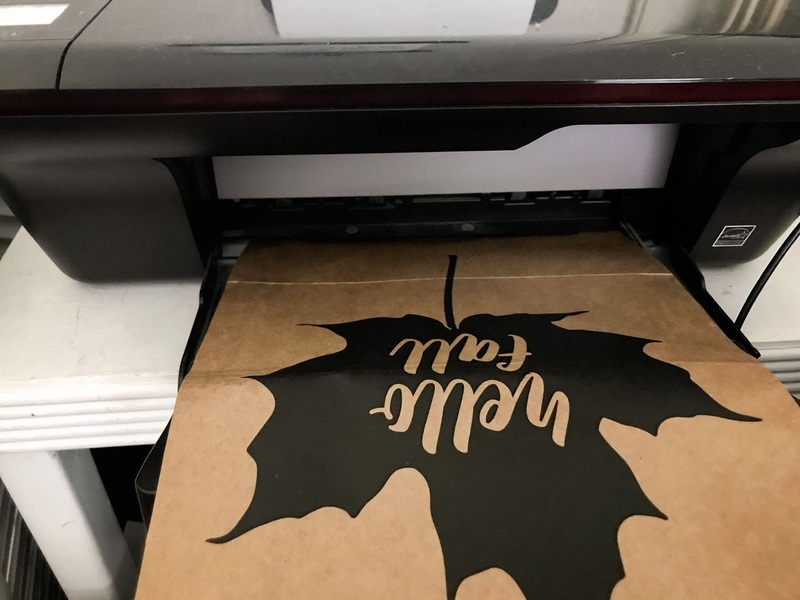 The Hello Fall Leaf printable is already sized to print on the standard 8.5x11 letter size paper. Print the printable onto your grocery bag. 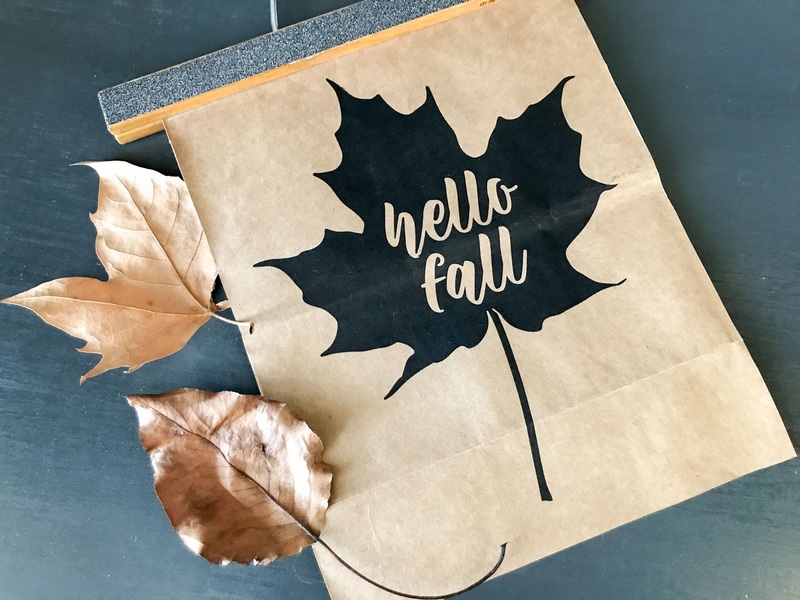 Of course, you can always just skip the grocery bag and use white paper, but I love the color and texture that the paper grocer bag gives this printable - very "Fallish"! *Tip: Make sure you cut your grocery bag on the seamless side of the bag! It will feed through the printer easier without the seam. 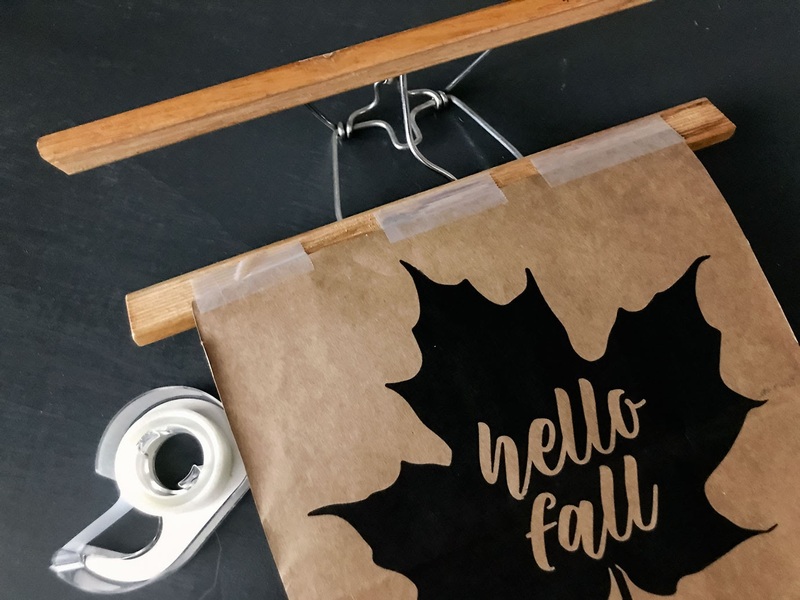 - Use clear tape to attach your printable to the pant hanger before you close the hanger. 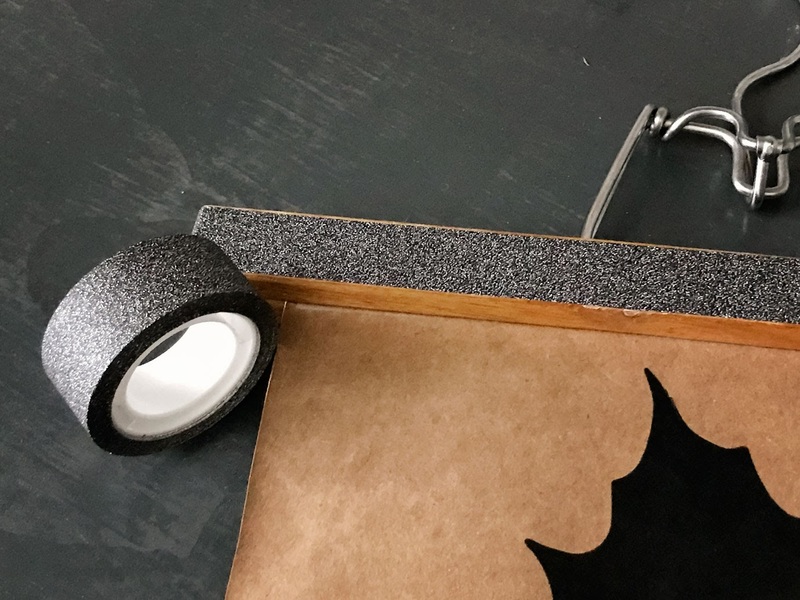 The weight of the paper grocery bag is a little heavier than regular printing paper, and I've found that the clear tape helps to hold it in place so it doesn't slip out of the hanger. - I wanted to give my hanger a little added sparkle, so I added a black glitter washi tape to the front of the hanger. That's all there is to it! In less than 5 minutes you can have a cute leaf to add to your fall decor. Or maybe even your office wall/cubical? PIN IT TO YOUR FALL INSPIRATION BOARD! 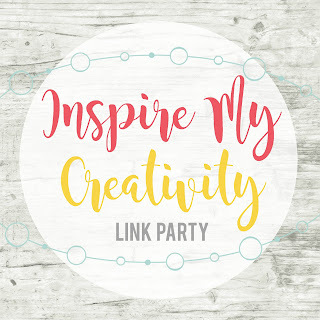 Inspire My Creativity Link Party! 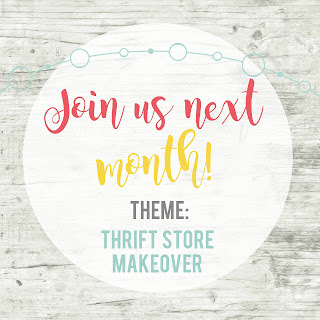 Inspire My Creativity Party | All Things LEAVES! Come back next month for another fun project! 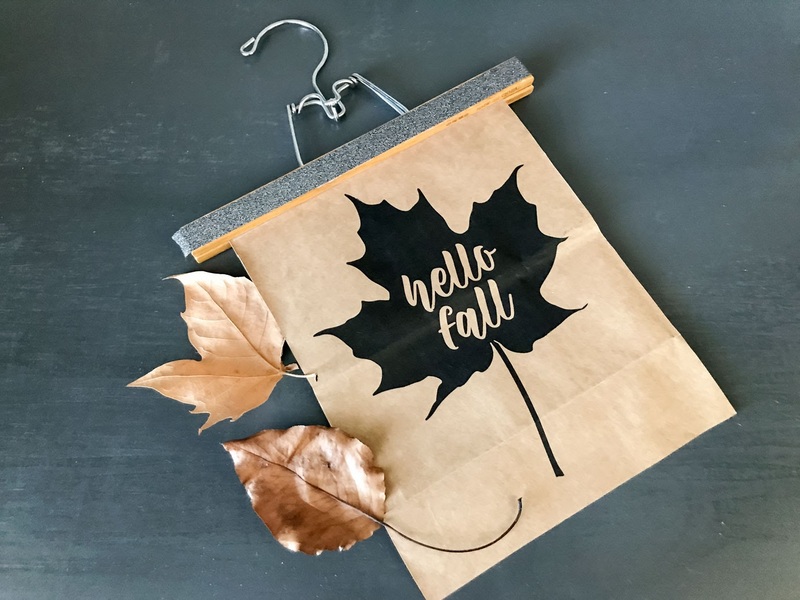 Love this easy Fall decor project! I remember those vintage hangers! Yours is extra special with that sandpaper look on it! Please stop by and share with us at the Merry Monday party going on now. I love this idea! I have a few of those hangers around here somewhere. Now I want to print cute things to hang from them!